Only a few days left of school for most kiddos and that means it’s time to think about ways to keep them sharp over the summer. One of my daughter’s favorite things to learn about in school is space. She knows all the planets and facts about them and loves to look at the stars at night. So I decided it would be fun to make some Free Solar System Pintables for Kids for us to enjoy during our Stars and Planets themed summer camp week. 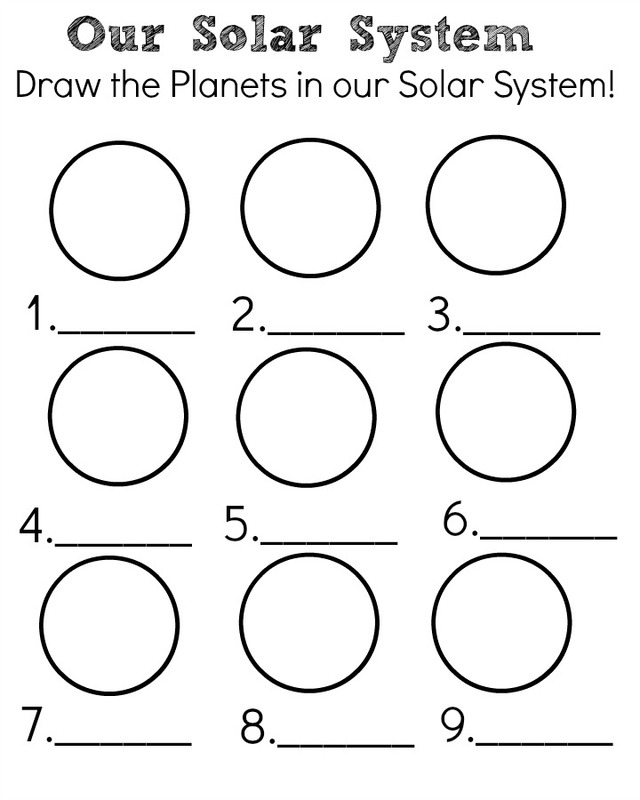 These free printables are a fun way to get your kids talking about the planets in our solar system, and you never know, they may even teach you a thing or two! I made 3 free solar system printables for kids for you to enjoy today, and all you have to do is click on them and print them out! 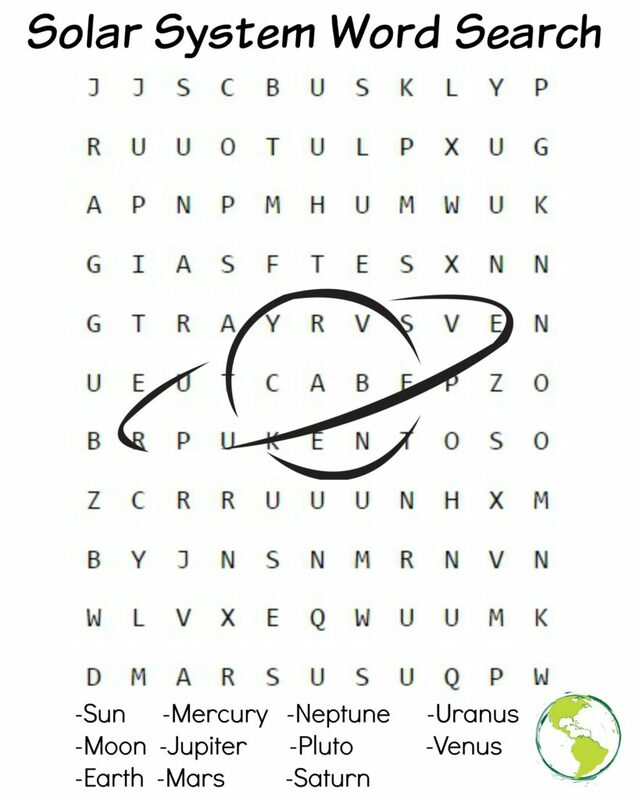 Use this free word search to find the planets hidden in the letters! 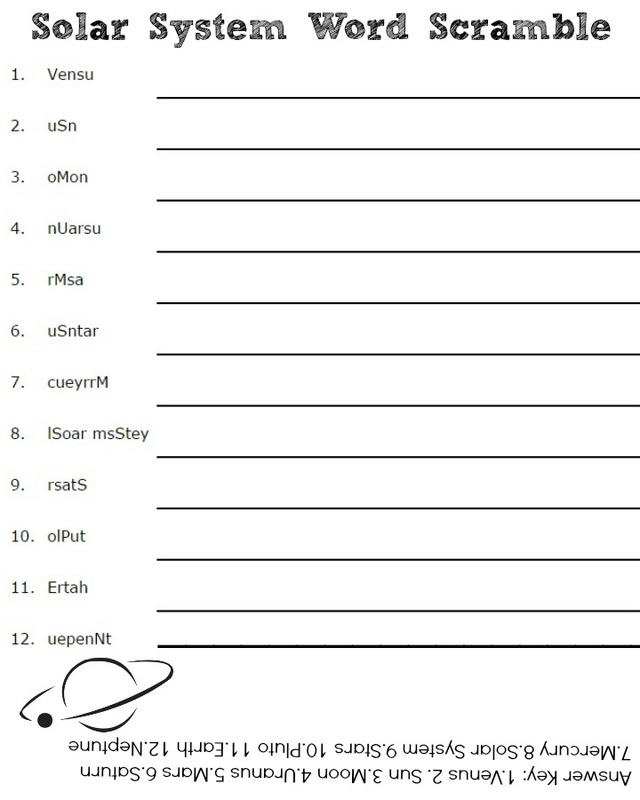 For this activity, use a book or the internet to find out what the planets in our solar system look like, and use the circles to color the different planets. Don’t forget to label each one so we know what it is! I love a good word scramble. Let your kids see who can unscramble them the fastest! There you have it! 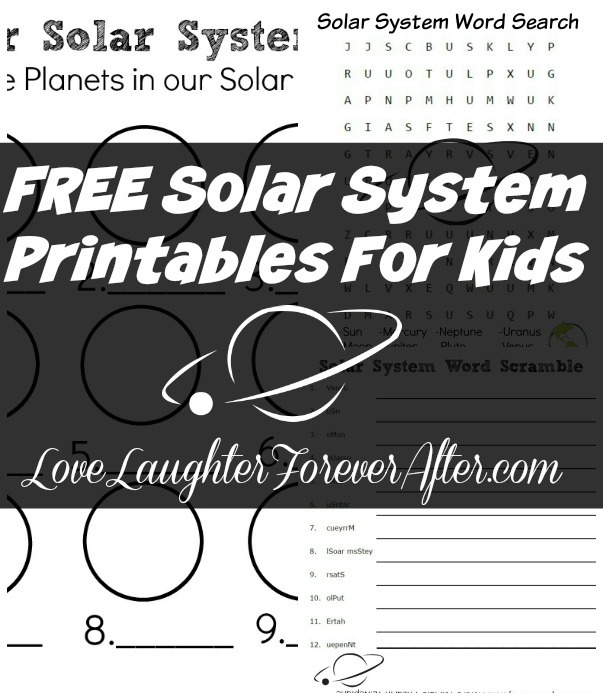 3 fun and FREE Solar System Printables For Kids that will keep them interested in the universe around us, even when it’s summer time. How do you keep your kids interested in learning during the summer? I would love to hear your ideas!